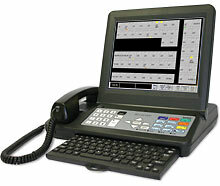 Please Contact us for our "Discounted Prices"
TekTone Tek-CARE NC300 II Nurse Call System is designed for use by nursing homes, assisted living facilities, long-term care facilities, hospitals and medical centers, and provides all the latest features and functions required by today's health care professionals. TekTone Tek-CARE NC300 II is fully integrated with on-site UHF radio pocket pagers, and can page appropriate staff when a call comes in. Tek-CARE NC300 II also provides quick contact with other nurses stations with its direct master-to-master communications. TekTone Tek-CARE NC300 II's color monitor displays patient call types in distinct colors for quick identification, and also shows nurse and aide locations. Rooms are identified both by architectural numbers and with labels of up to 16 characters to allow for useful descriptions, or even residents' names. Or choose our direct-select master station with individual LED call indicators for each room. Programmable bed priorities customize the call response for each resident, while Staff Follower and Night Transfer functions allow for flexible staffing. The NC110N Series audible/visual nurse-call system is designed for health-care applications where voice communication is not required, but only tones and lights are needed. The NC110N is U.L. Listed 1069, to the latest standards. When a remote station is activated, the NC110N annunciator will sound an electronic tone and will light, indicating the location of the call. The tone signal can be silenced at the master station (and/or at the optional LI150B remote duty station(s) for non-emergency calls). The individual switch/light will remain lighted until the remote station is reset at the point of origination only. The NC110N master annunciator is modular and can be flush, surface or desk mounted, and available in any size, in multiples of four (4) lights/switches. The NC110N features built-in tone signal and tone silence button and light. As required by U.L, 'test' buttons are provided on each annunciator lamp module for lamp testing. 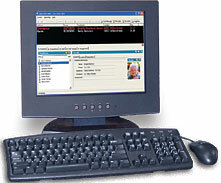 You can even add pocket-paging capability as well, to signal staff members that are away from the master station(s). The NC150N series audio-visual nurse-call system is designed for health-care applications where voice communication and visual indication is required. The NC150N is U.L. Listed 1069, to the latest standards. The NC150N system can support up to two (2) master stations per system. When a remote station is activated, each NC150N master annunciator will sound an electronic tone and will light, indicating the location of the call. The tone signal can be silenced at the master station (and/or at the optional LI150B remote duty station(s) for non-emergency calls). The individual switch/light will remain lighted until the remote station is reset at the point of origination, or when answered by voice from the master station (for remotes with voice capability only). The NC150N master annunciator is modular and can be flush, surface or desk mounted, and is available in any size, in multiples of four (4) lights/switches. The NC150N features built-in tone signal, and tone silence button and light. The NC200N series audio-visual nurse-call system is designed for health-care applications where voice communication and visual indication is required. The NC200N is U.L. Listed 1069, to the latest standards. The NC200N system can support one (1) master station per system only. When a remote station is activated, the NC200N master annunciator will sound an electronic tone and will light, indicating the location of the call. The tone signal can be silenced at the master station (and/or at the optional LI150B remote duty station(s) for non-emergency calls). The individual switch/light will remain lighted until the remote station is reset at the point of origination, or when answered by voice from the master station (for remotes with voice capability only). The NC200N master annunciator is modular (in multiples of 20 lights) and can desk mounted only. For other mountings see our NC150N series master. Each NC200N master has a built-in amplifier with voice volume controls, nurse-follower function, and group call.